We are located in the EH&S Modular in Parking Lot 7, near Garage 2. 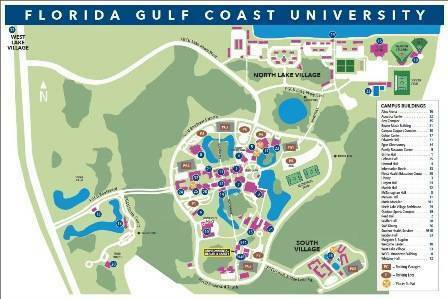 Please enter the University via the main entrance on FGCU Blvd., South and stop at the Information Booth to receive a visitors parking pass. Turn right at the stop sign onto the loop road and then make a left into Parking Lot 7. We are next to the campus Food Pantry and behind Student Health Services.